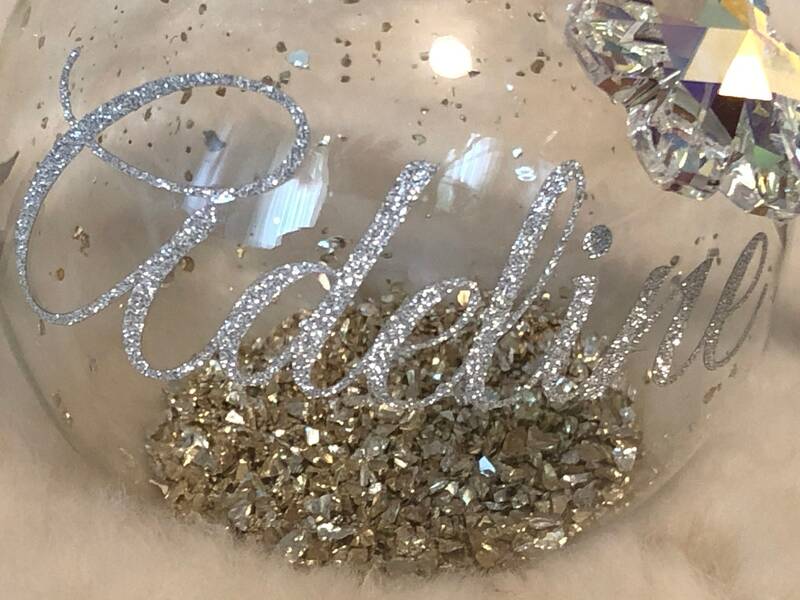 Personalised with the name of your choice in Silver making this a the gift for Christmas this year. 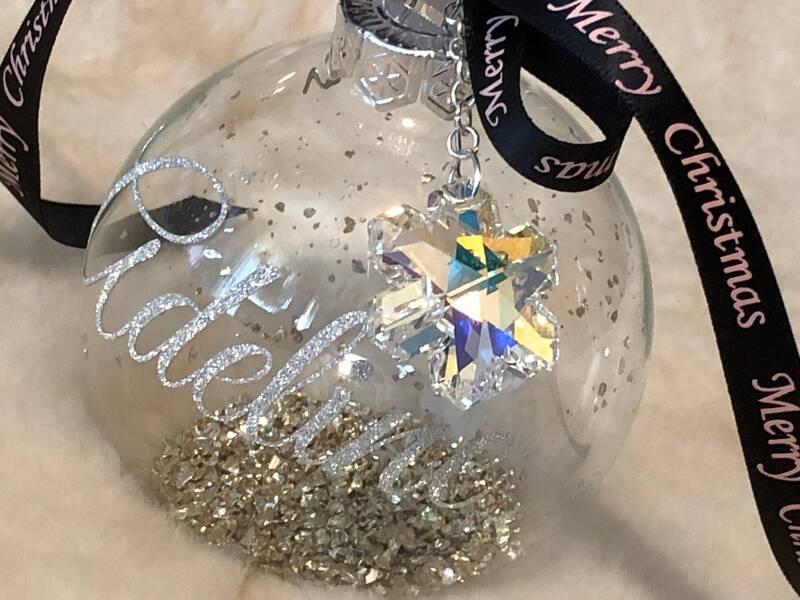 Bauble is filled with silver and gold glass, embellished with a 30mm Snowflake crystal from Swarovski® and finished off with our exclusive pink and black Christmas ribbon. 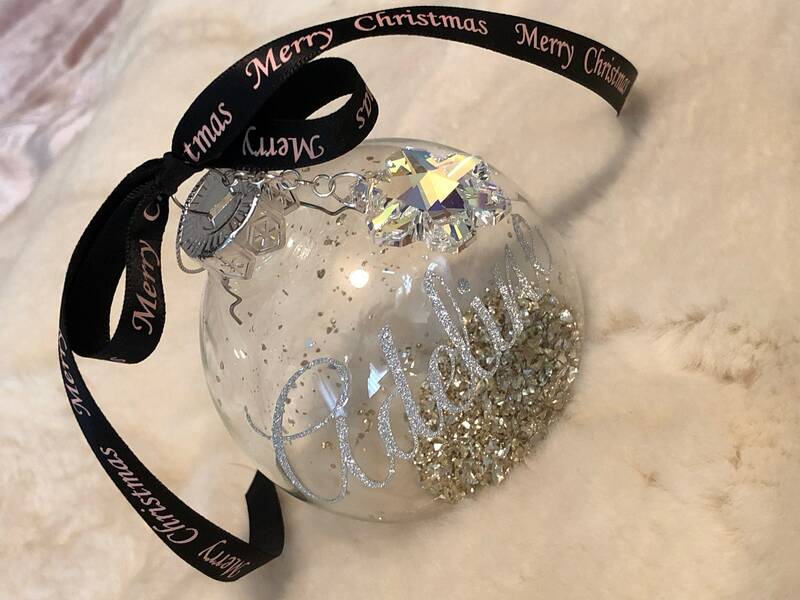 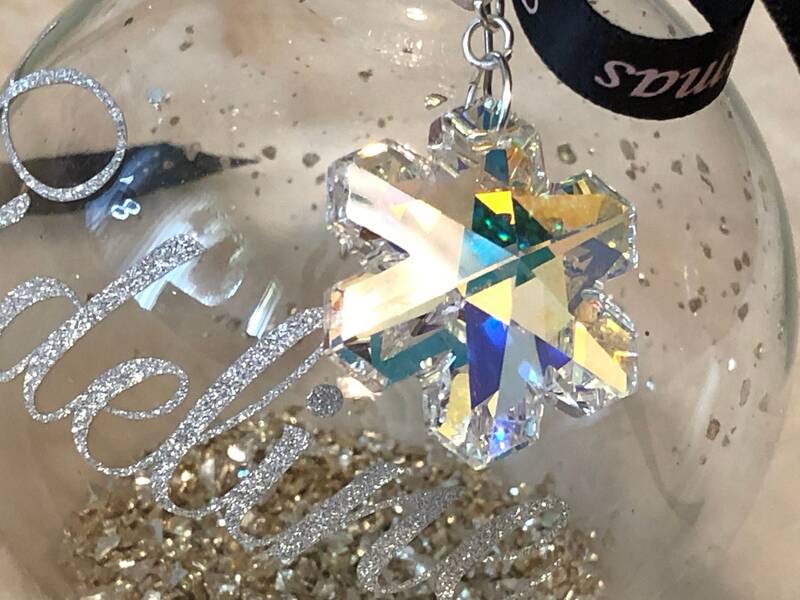 When ordering please leave a message in the personalisation section for the name you would like on your bauble.